Enjoy your outdoor living space in the evenings with the ambience of refined lighting, complete with a remote control dimmer to set the right mood. 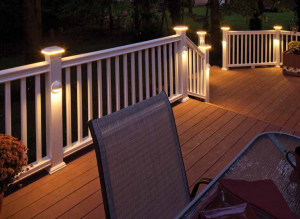 Fiberon® Deck and Rail Lighting is available in four distinctive lights, featuring riser lights for added stair safety. Let C&L Ward transform your deck into a space that you can use all evening long during the beautiful Midwest summers. Most installations can be completed in less than a day. Ready to light up the night? Contact us today to schedule a FREE In-Home Consultation today! Beautiful post cap available in 4″ flat top with opaque lens shines ring of warm light outward for sophisticated post lighting. Available in white, black, bronze and dark walnut. 3-1/2″ eyeball design, directs warm white LED lights down the post to the deck for spot lighting around the deck or to aid in safe footing on stairs. Available in white, black, bronze and dark walnut. 1″ diameter small, round, light with warm white LED bulb, installs flush with decking; designed for great accent lighting for deck borders or stairs. Rectangle lighting with opaque lens, especially designed to brighten pathways and stairs. Available in white, black, bronze and dark walnut. 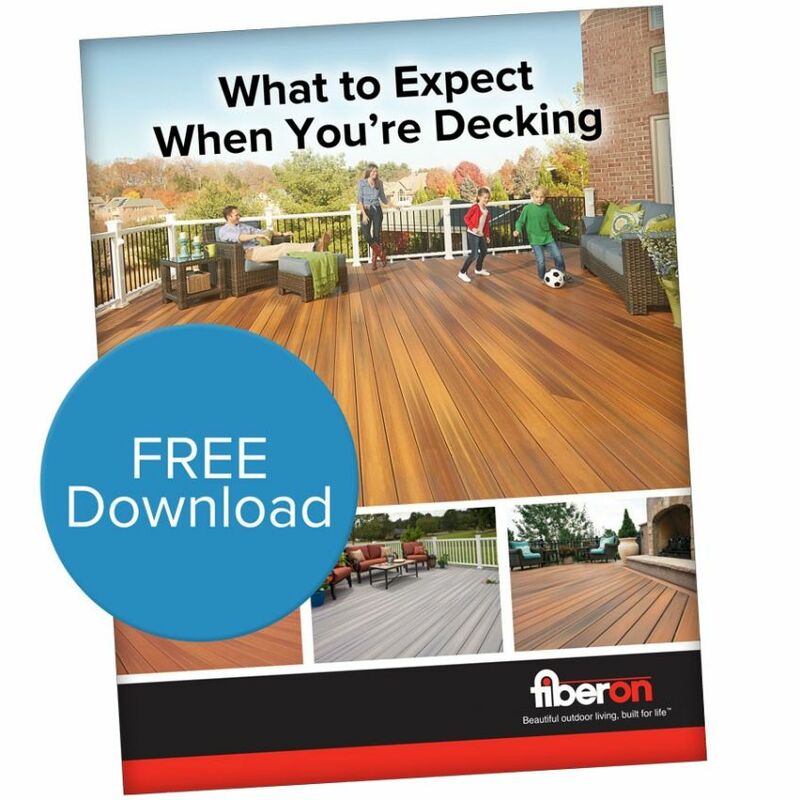 Fiberon Deck and Rail Lighting is warranted against manufacturer defects for 1 year.